Pictured (l-r) Kody Thornhill; Jake Rimel - Varsity Mr. 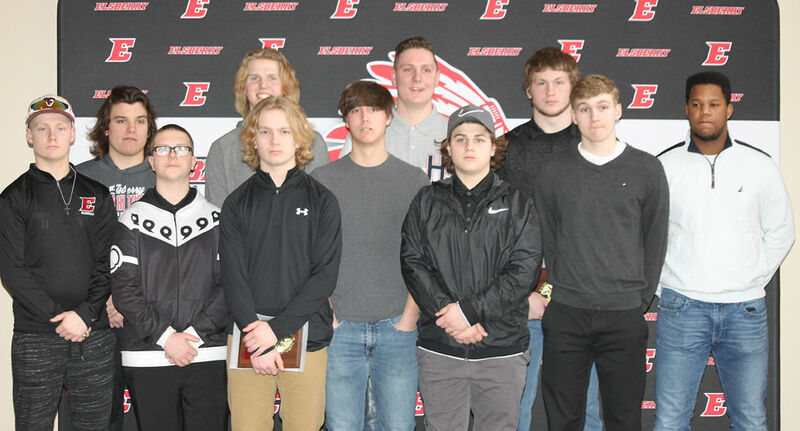 Hustle Award; Logan Bone; Joel Mound - Varsity Co-6th Man of the Year; Bo Henry - Varsity Co-6th Man of the Year; Eli Gladney - JV Charge Leader; Garik Hill - Varsity Mr. Swat, Rebound Leader, Steals Leader, Scoring Leader, Assists Leader and MVP; Colby Twellman - JV Defensive Player of the Year; Trevor Anthony - Varsity Defensive Player of the Year and Charge Leader; Jack St. Pierre - Varsity Co-6th Man of the Year Award and Derrick Taylor - Varsity Free Throw and Three Point % Leader. 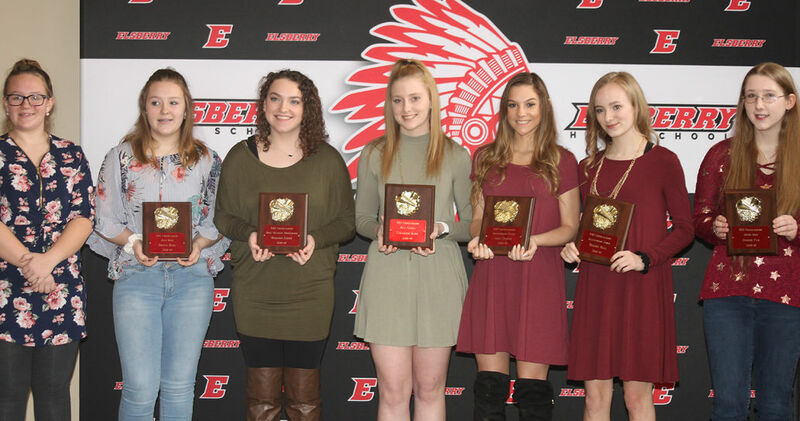 Pictured (l-r) Hailey King; Brylie King - Best Base; Madison Steen - Most Valuable Cheerleader; CaraRose King - Best Cheers; Jade Cooper - Best Flyer; Melody Hall - Outstanding Jumper; Jordan Cyr - Best Super Spotter. Pictured (l-r) Kelsey Pflasterer - JV Offensive Leader; Payton Robinson - JV Leading Rebounder; Josie Horne - Varsity 110% Award; Tyra Henderson - Varsity Co-Most Improved; Clare Henry - Varsity Co-Most Improved; Abby Jenkins - JV 110% and Coaches Award; Megan Hagemeier - Varsity Rebound Leader; Tynesha Henderson - Varsity 6th Man of the Year Award; Tess Weakly - Varsity Steals/Assists and Coaches Award; Ariel Rios - JV Defensive Player of the Year and Kylie Kinsler - Varsity Best Defender Award.